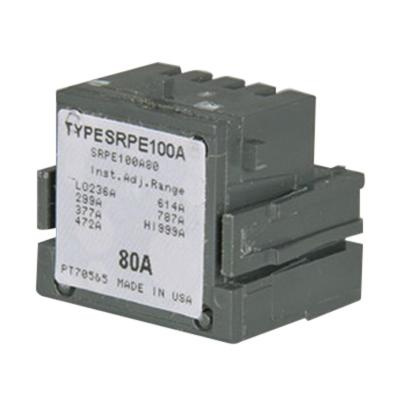 GE Industrial Frame SG600 rating plug is suitable for use with Spectra™, Power Break and Power Break II circuit breakers. It has current rating of 225-Amps. This rating plug comes with electronic, adjustable instantaneous trip with operating range of 680 - 2295-Amps. It helps to establish or change the long time trip point of the circuit breaker. Rating plug is UL listed, CSA certified and meets IEC standards.